2 Objectives 1. Explain the reasons why people work. 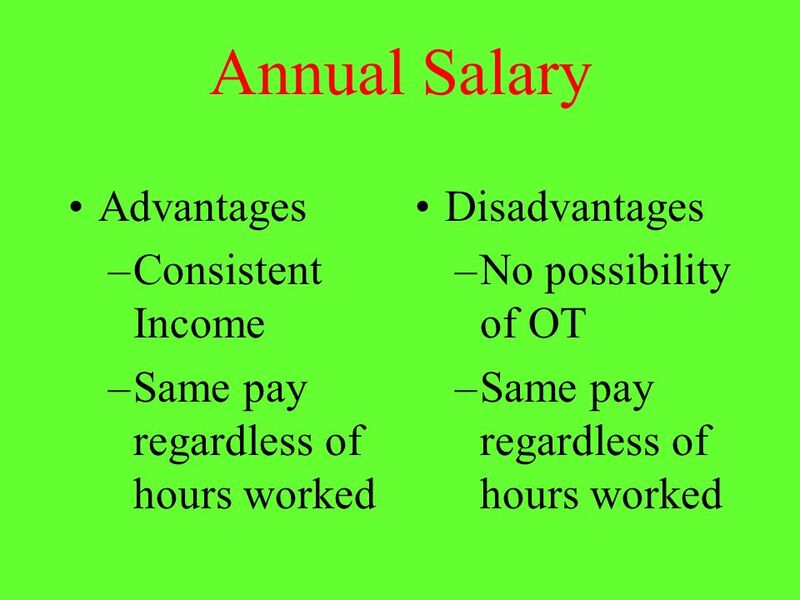 2.Differentiate between work, occupation, job, and career. 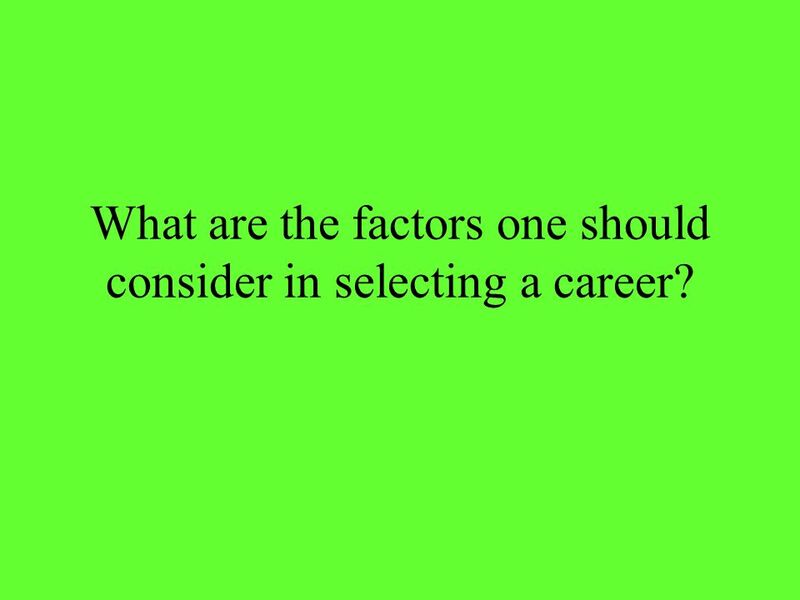 3.List the factors to consider in selecting a career. 4.List the steps in choosing a career. 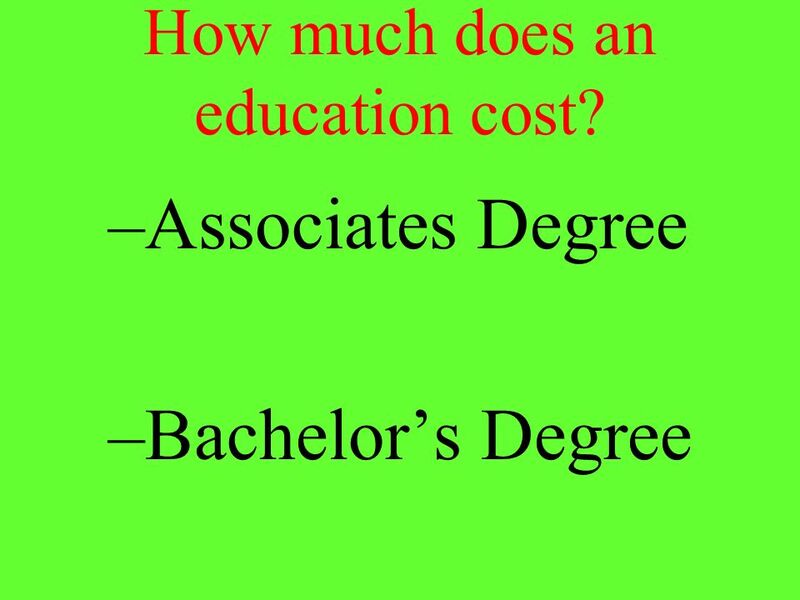 4 What is the difference between work, an occupation, a job, and a career? 5 Work An activity that is directed towards a purpose or a goal that produces something of value to oneself and/or to society. 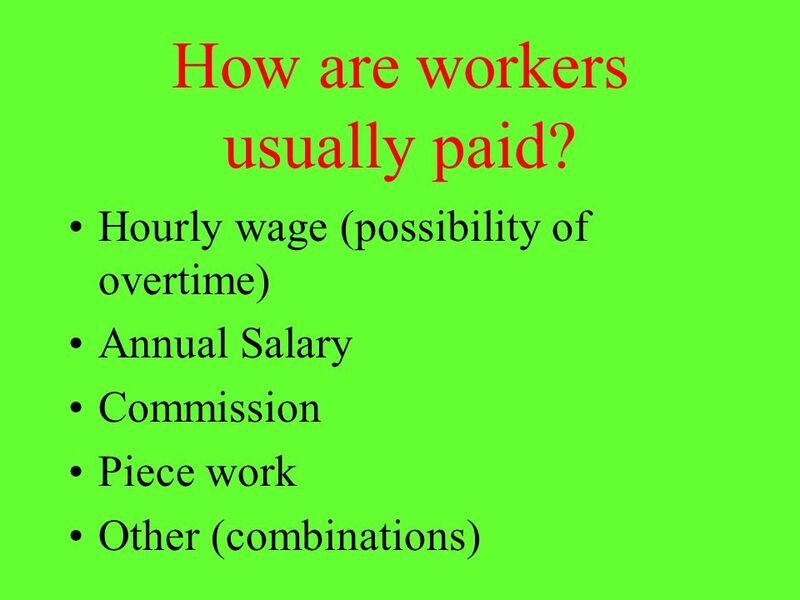 A wage may or may not be paid, depending upon the type of work, such as a volunteer. 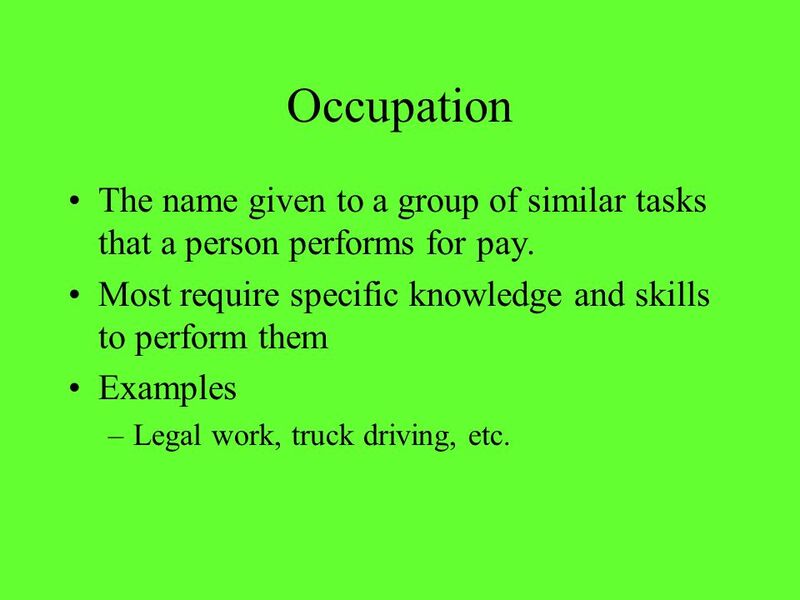 6 Occupation The name given to a group of similar tasks that a person performs for pay. Most require specific knowledge and skills to perform them Examples –Legal work, truck driving, etc. 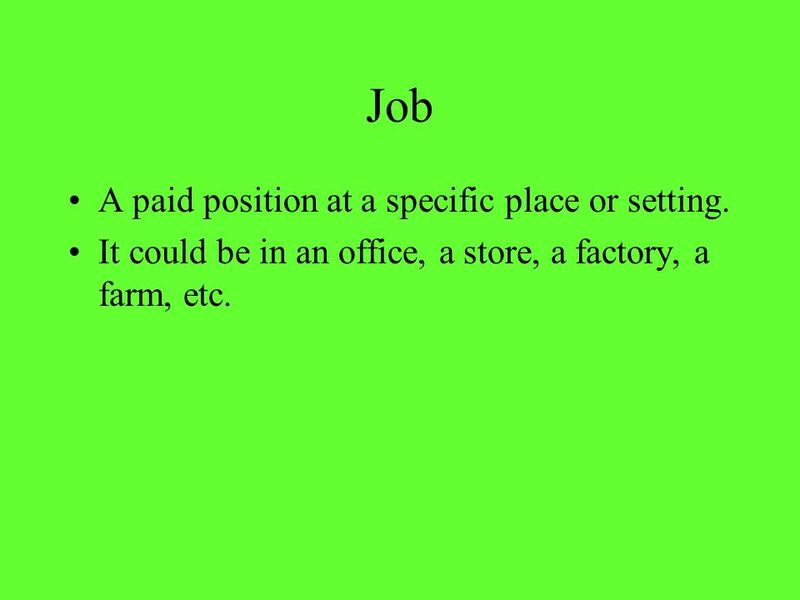 7 Job A paid position at a specific place or setting. It could be in an office, a store, a factory, a farm, etc. 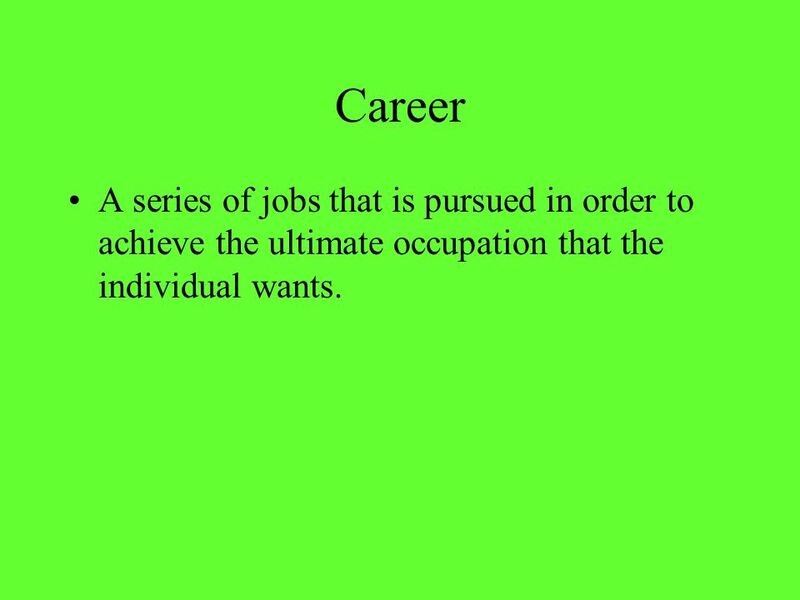 8 Career A series of jobs that is pursued in order to achieve the ultimate occupation that the individual wants. 9 What are the factors one should consider in selecting a career? 11 What are the steps in choosing a career? 13 Whats a Good Job? 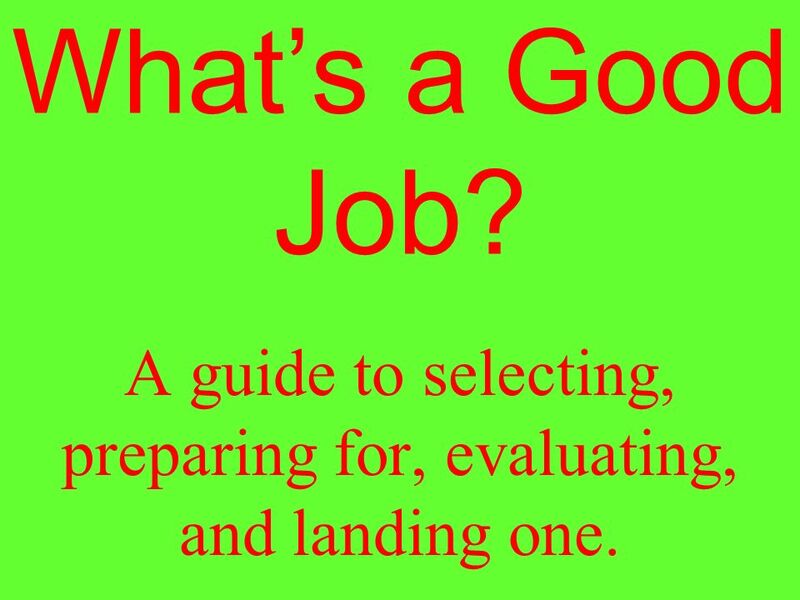 A guide to selecting, preparing for, evaluating, and landing one. 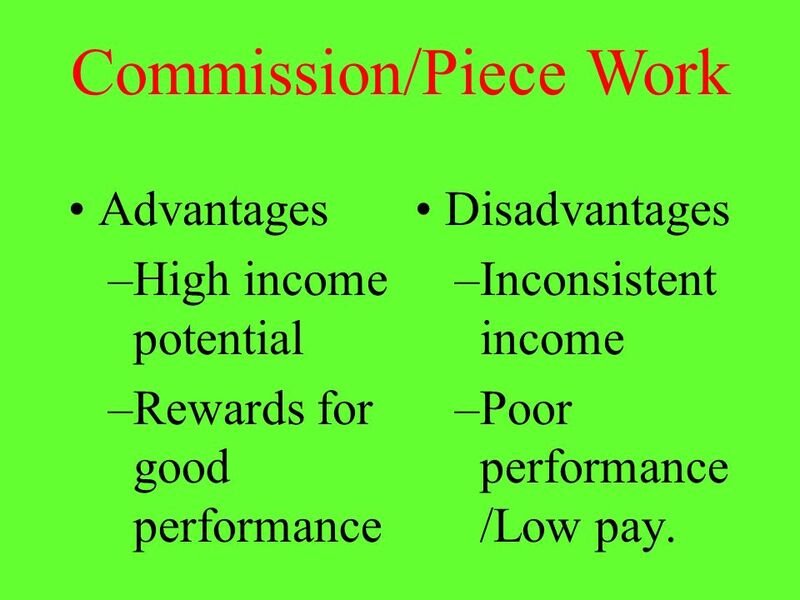 19 Commission/Piece Work Advantages –High income potential –Rewards for good performance Disadvantages –Inconsistent income –Poor performance /Low pay. 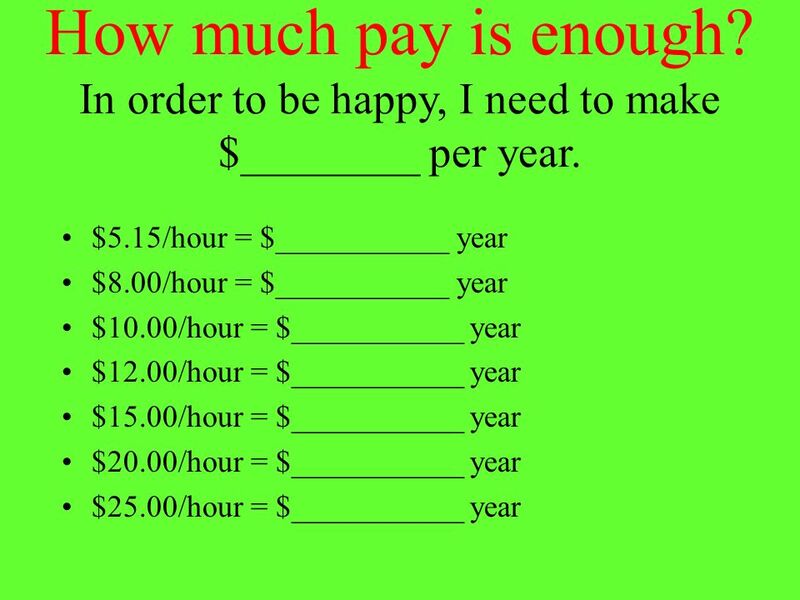 20 How much pay is enough? 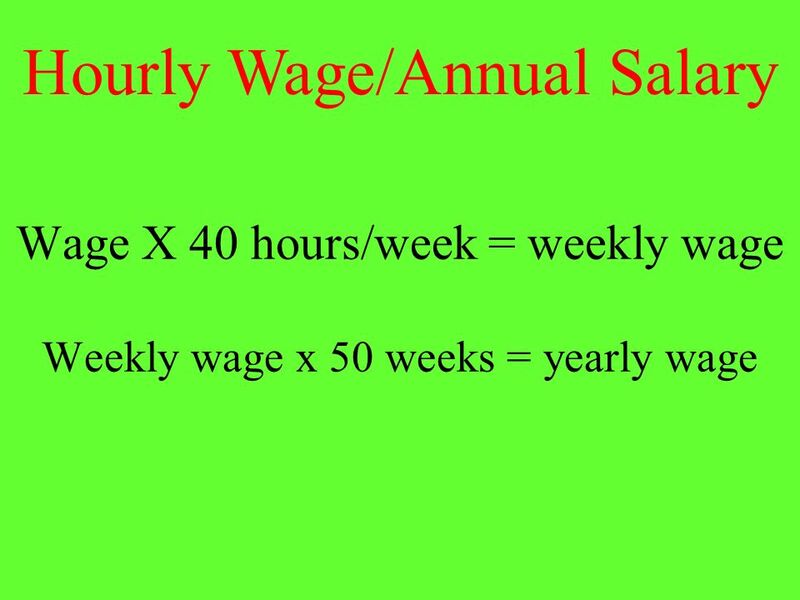 $5.15/hour = $___________ year $8.00/hour = $___________ year $10.00/hour = $___________ year $12.00/hour = $___________ year $15.00/hour = $___________ year $20.00/hour = $___________ year $25.00/hour = $___________ year In order to be happy, I need to make $________ per year. 24 What about other benefits? 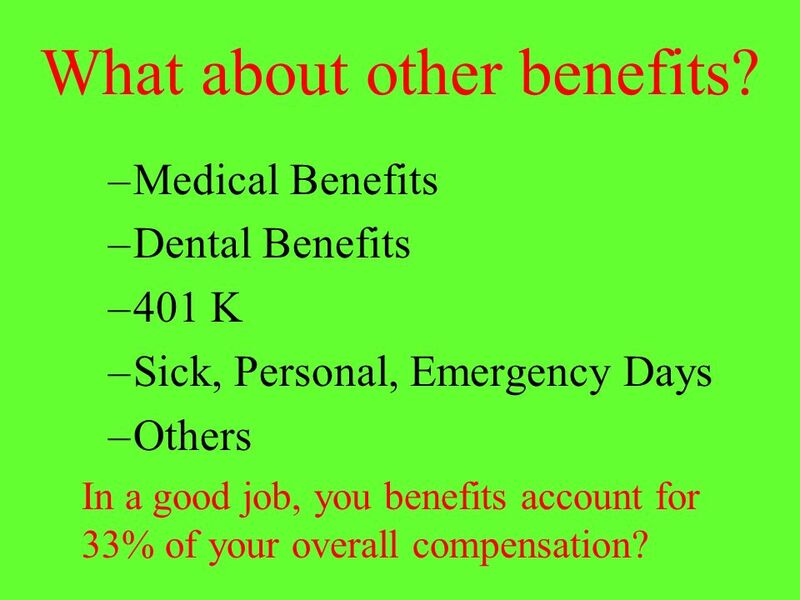 –Medical Benefits –Dental Benefits –401 K –Sick, Personal, Emergency Days –Others In a good job, you benefits account for 33% of your overall compensation? 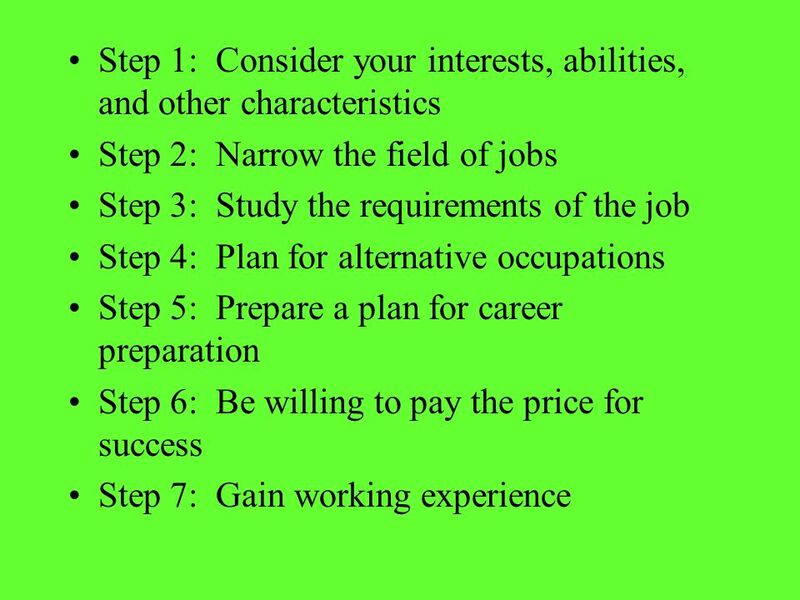 Download ppt "Selecting a Career. Objectives 1. Explain the reasons why people work. 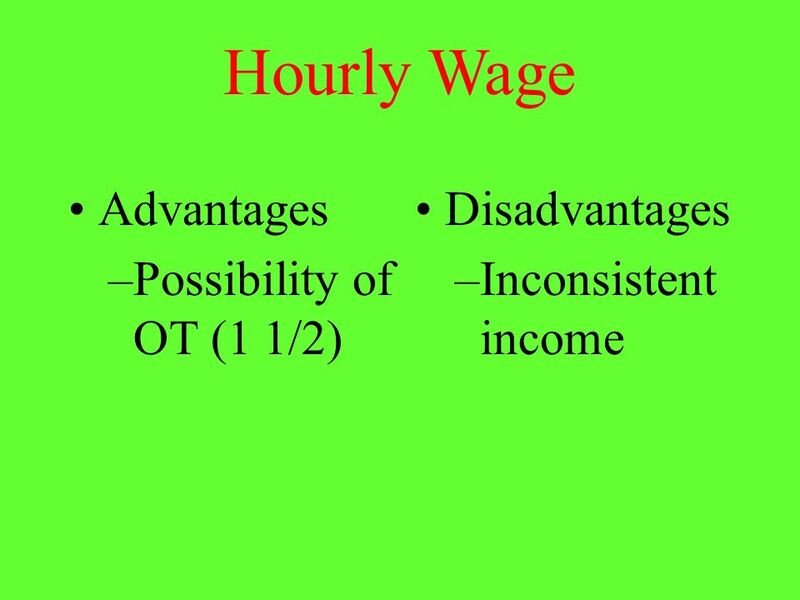 2.Differentiate between work, occupation, job, and career. 3.List the factors to." SESSION 2: EARNING INCOME AND PAYING TAXES TALKING POINTS on MONEY MANAGEMENT EARNING INCOME AND PAYING TAXES 1.People earn income by providing resources. Sports and Entertainment Marketing. Discuss the importance of career planning. Define at least five attributes you should know about yourself when analyzing. Tax Vocabulary. 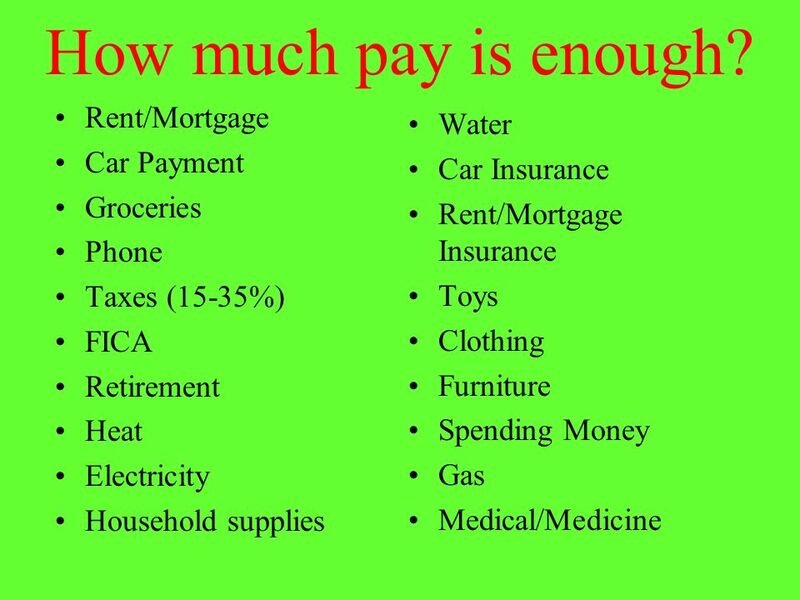 Gross Pay The amount of money you earn each pay period. 4-D2 Your Choices Today Make a Difference Tomorrow.  Love of your job? To sharpen your soft skills? To meet new and exciting people?  NO – to make money!!!  Focus: How to calculate different types of. Employee Benefits 3770 Beardshear Hall Human Resource Services. Starting your financial future.  Empowering People to be Responsible for Themselves and The World. Personal Money Management 1. 2 What Is Money? Money allows businesses to operate and consumers to buy products and services that meet their needs and. 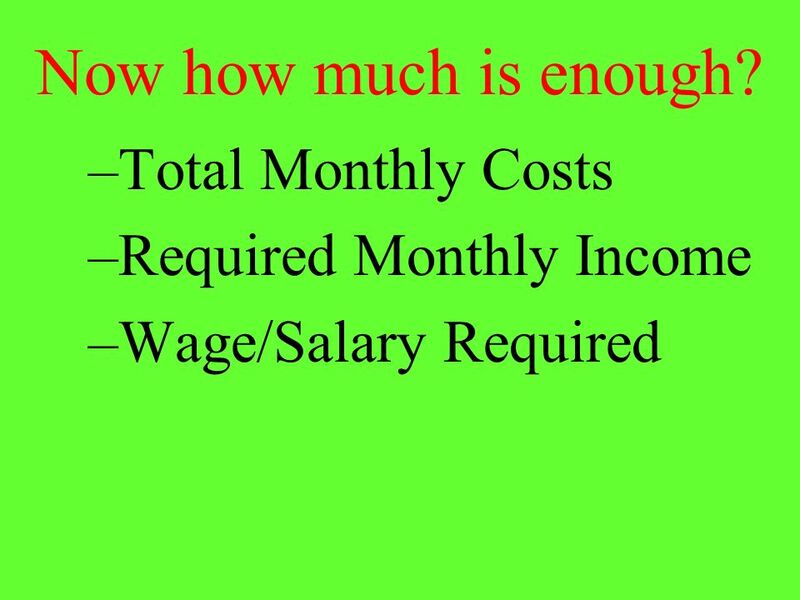 Financial Literacy Skills Unit 1: Managing Money. 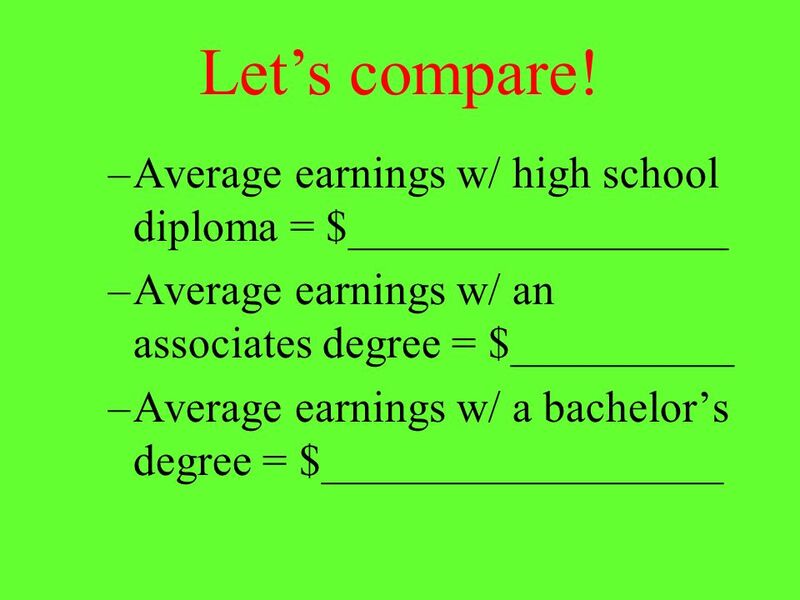 SHOW ME The MONEY Just how much do you know about how people get paid? 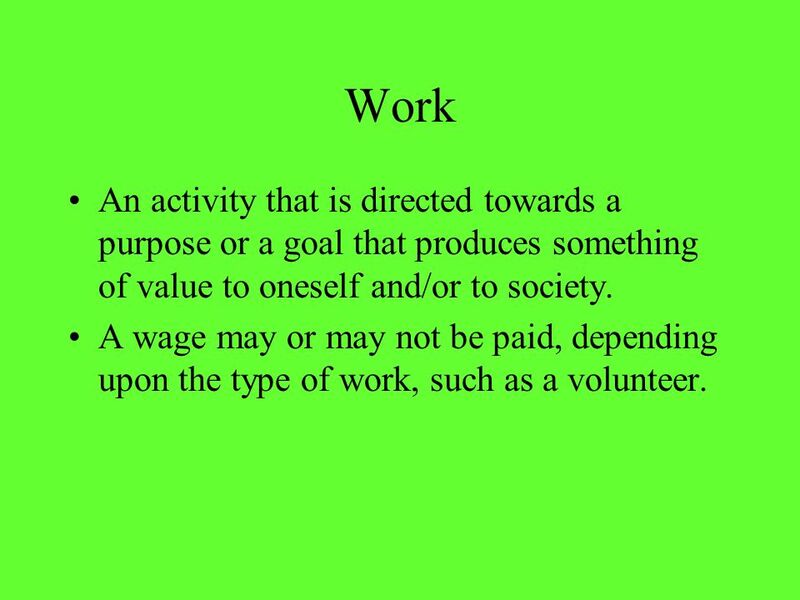 MSCA6-1- Students will understand the personal nature of work and how it relates to them as individuals and as integral parts of society. a) Identify reasons. Your Career: Doing What Matters Most Unit 1-a. 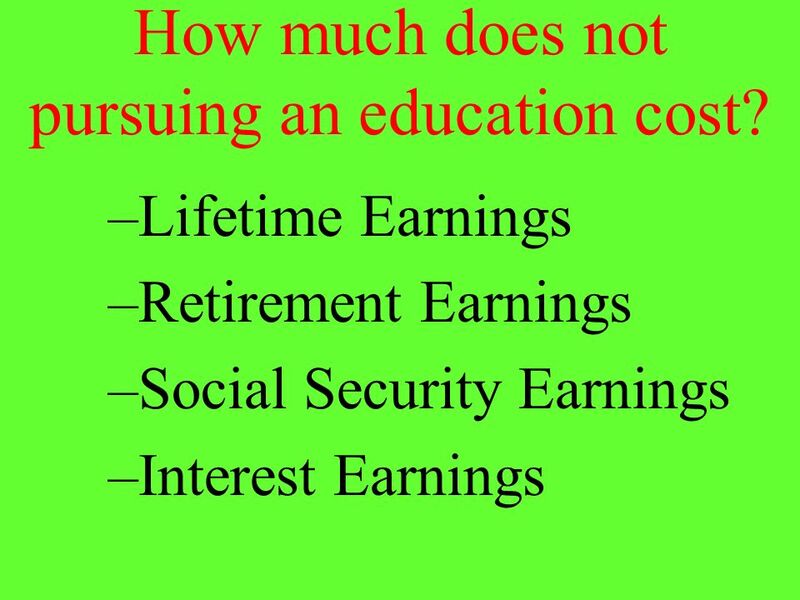 Objectives: -List and discuss types of earned income, such as wages, salaries, tips, and commissions. -Discuss the advantages and disadvantages of self-employment. ATHLETIC TRAINER Jacob Willey. Tasks n Teach others n Assist and care for other n Update and use job-related knowledge n Get information needed to do.